Have you tried searching your business website on Google? Are you satisfied with the where you’re currently ranked? If you aren’t, you may want to try applying local SEO marketing to your overall online marketing strategy. KAFE Digital Marketing is one of the top virtual assistant services in North America today, and we are more than happy to offer our search engine optimization services to clients of all sizes and industry backgrounds. With a 10+-year track record of success and a highly experienced and motivated team of SEO specialists, we are confident that we can help take your business’ online visibility, lead generation, and sales to the next level. 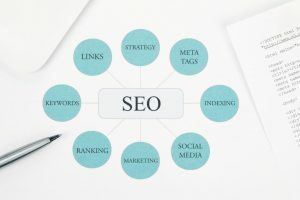 Local SEO marketing is one of the best ways to improve your business website’s ranking on Google, Bing, Yahoo, and other popular search engines. The process revolves around efficient optimization of your website for some of the most competitive keywords related to your business, as well as the products and services you offer. Whenever a search engine user includes any of those keywords in the query, your website will start ranking better for those keywords. Did you know that 75% of search engine users don’t bother checking search results beyond the ones found on the first page? In other words, your business is essentially invisible to potential customers if you aren’t one of the top search results! SEO is not only a great way to give your website a significant boost in online presence, but it’s also a fantastic long-term investment. Research shows that leads generated by SEO exhibit a 14.6 percent close rate. To put that into perspective, direct mail and print advertising only enjoy a close rate of 1.7 percent. With our SEO services, sit back and do relax while your website soars all the way to the first page! If you would like to learn more about our SEO services, please do not hesitate to schedule a consultation with us. You may do so by calling 570-431-9593 or sending us a message through our Contact page. We look forward to hearing from you.